First of all, I am exhausted. I feel like I’m on the verge of cracking up because I can’t sleep and when I do finally pass out, it’s not for long. I didn’t fall asleep until after 5am and then had to get up to make mom’s breakfast. Thankfully, she’s doing better so she can help with some things, but just the same, the weight of my responsibilities continues to crush me. 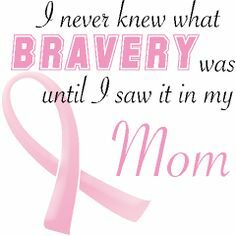 Added to this, my mom had a boil or hematoma on her chest near her mastectomy incision. I’ve been watching it and got her an appointment to see the nurse practitioner about it tomorrow. Well, it just burst and my mom freaked out. I remained calm as I looked at it, and then lead her back to her room, where I removed her bloody nightgown, cleaned up the wound, applied Silvadene, got her a new nightgown, made she was all right and then washed the blood out of her nightgown. So I’ve been a bit on edge. I need to sleep; really, sleep and my body just can’t relax enough to do it. I will get through this somehow. That is one the good thing about bad days; they pass, and if you’ve lived through enough bad days, that thought alone is a blessing. Of course, sometimes those bad days pile up until you have bad weeks, months or years and you have to wait for some relief from the constant struggle of simply trying to get by. When I was a little girl, I knew a woman who had survived the death camps in Germany. She rarely spoke about her experience, but she did mention that there were times in bitter the cold of those terrible days, when they would sometimes sing. She said their voices were barely above extremely hoarse whispers, but just the thought of being able to sing lifted their spirits. It’s hard to imagine people singing in the midst of those horrible smoke stacks that rained unnatural ash, but it is possible to believe in the capacity of the human spirit to find a way to rise above anything. Of course, I’m not saying that being a caregiver is in any way like being a German death camp, but there are definitely times when it has its moments. There are moments when I feel trapped by this situation, and there are those when I feel like there is no end in sight to the constant fear and worry that sometimes plague me. I wish I could find a better, more creative way of expressing myself, but there is no artistry to this particular kind of writing, just as there is no artistry to this situation. But perhaps I’m wrong. Perhaps there is an art to many things we don’t consider artistic or creative. Perhaps there is an art to care giving as much as there is to surviving. I do feel that I’ve gone through a lot of this experience with a kind of seat-of-the-pants kind of mentality, and there is definitely an art to not being married to a set-plan, but allowing yourself to just do what needs to be done. There is little place for revulsion or upset. I must take care of my mother with as much calm as possible. I must not let her see that I’m struggling because then she will focus her energy on worrying about me instead of recovering her health. Or worse, she will become afraid and begin to imagine that things are worse than they really are. This will also affect her ability to heal, and I cannot, must not, allow that to happen. So perhaps there is an art to holding back, and holding onto your emotions until a later time when you can let them out, because you must let them out or you will risk making yourself sick. 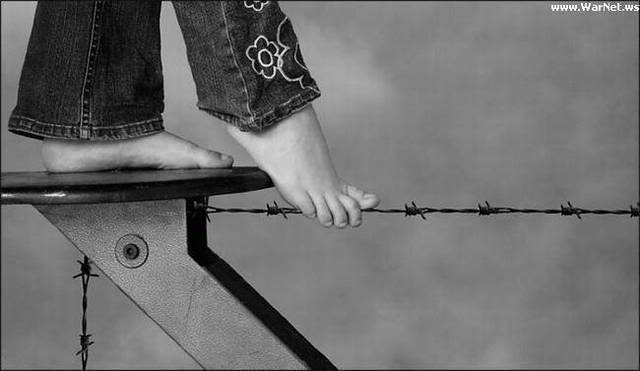 I have walked this particular tightrope many times during the course of this experience, and I have come close to falling off, but I have always—well at least so far—been able to right myself and get myself back where I needed to be. Yet, even masters of tightrope walking can fall. You can go online and see footage of the great Karl Wallenda falling to his death at the age of 73. Some will say that he died as he had lived, but the truth is that no tightrope walker wants to take that final plunge. The hope is always to make it to the other side as safely as you were before you took that first step. I believe that is the wish of all caregivers. We all want to get our loved ones and ourselves through to that other side. 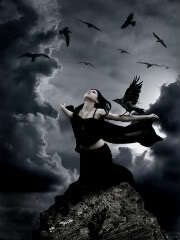 We may waver, at moments, because there will inevitably be bad days, but we must strive not to let anything make us fall. There is too much at risk if we do. 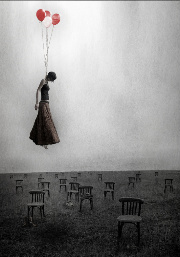 This entry was posted in Cancer, Caregiving and tagged balancing act, cancer, caregiving, tightrope. Bookmark the permalink. Once again, you steal my heart with your words. Simple, powerful and unbearably true. Make sure you take time to care for yourself. I have found in those times of exhaustion and no-clear-end-in-sight that humor brings me through. The ability to laugh at most anything, even if it has to come at a later point, has given me the strength to walk through some very dark times in my life. I’m so glad to see you writing and sharing this. You’re so right about that. Mom and I get laughing about all kinds of things that others probably don’t think are funny, but hey, it helps. This really needs to be a book, Rach. I’m serious. And *hugs* to you and your mom. That’s definitely something I need to consider. I know it’s not the same… because it just never is. But I was a caregiver for many years. I took care of my grandma, her bills, her house, showers and, at times, bathroom duty. When she was in the hospital, I was there every day, making her eat, keeping her clean. My youngest learned the ins and outs of hospitals better than any three year old should. There were times when I thought I’d crack. All of that, on top of being a single parent and the weight could become unbearable. But then I’d think… I have this day. My grandmother took care of me my entire life. It wasn’t so much that I owed her, it’s that I would do anything to ease her suffering, to make things easier, to show her how much I loved her, and I know you know what I mean. Every day you have with your mother is a gift. Sometimes, just remembering that… it’s like singing. Shauna, thank you so much for leaving such a thoughtful comment. Hey there I just wanted to swing by and say thx for the data in this post. I somehow happened upon your weblog while searching for workout related stuff in Google… guess I lost track of what I had been doing! Well, I’m off and many thanks for stating your opinions. I’ll be back sometime to see your new blogposts. Seeya! Your words flow like a gentler breeze… but the heartache is always at centerstage. This life tries tirelessly to beat us into those shattered corners, but we don’t have to allow them to do so. We can smile through the neverending cascade of tears and grow through the onset of surest drowning. From everything I have read here… it’s sounds like you’re doing just that, Rach. Don’t let hopelessness take hold to then sadly form into a bitter root. Everything we go through has meaning. Although most things do not become clear until much time has come and gone. Still we can treasure the happier moments and try our damnest to not dwell solely upon all the negativeness. This is not an easy task whatsoever, but it also has its rewards. Be blessed my friend!